Here It comes and hopefully NO RAIN! Everything is planned and ready to go . Get to know your neighbors and have fun at our very own neighborhood picnic. 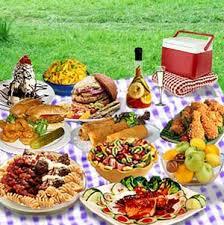 This will be our official “Neighbors’ Night Out: get-together, so let’s have a BLAST at the picnic! There will be plenty of food, adult drinks, live music, a baking contest,and fun and games for the kids. We need desserts for the picnic and for our baking contest. Please bring your best dish. Remember to be creative! Location: 3642 Ramble Creek Dr. between the Santistevan and Gevrasev homes.